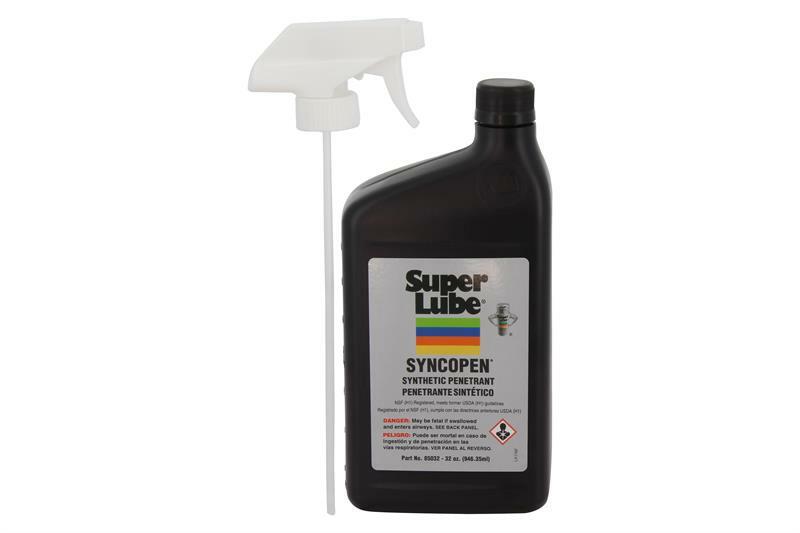 Super Lube Syncopen Synthetic Penetrant 85032 Non-Aerosol is a fast-acting, penetrating, spray that cuts through rust or corrosion in those hard to reach places, to allow easy removal of rusted and corroded screws, nuts or bolts. Syncopen leaves a protective film of synthetic oil to help prevent future rusting or corrosion. Syncopen is USDA/NSF rated H-1 for incidental food contact. 1 Quart Trigger Sprayer bottle was developed due to environmental concerns as many industrial facilities do not allow the use of aerosol products.